Project Week planning so far has been an interesting, and at times frustrating experience but overall still enjoyable and I’m really looking forward to it. 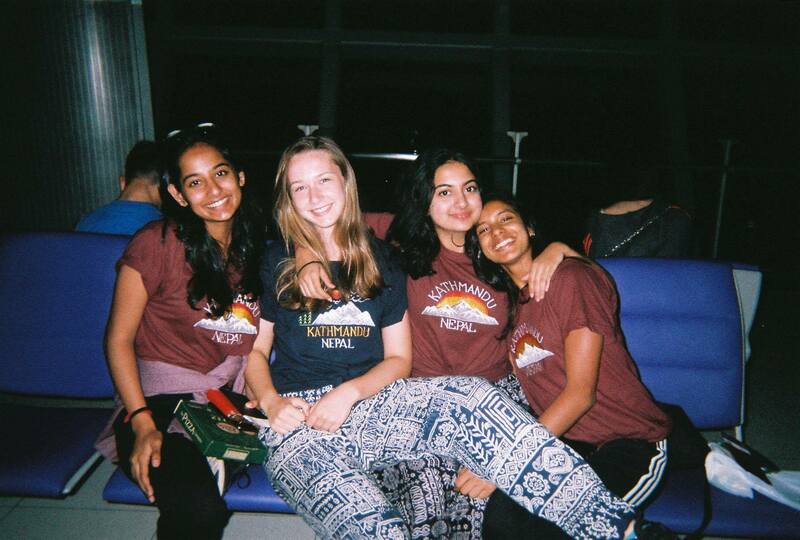 My group is Sophie, Manasi, Devika and I – and honestly last year or even at the beginning of grade 11 I wouldn’t have imagined this group because we didn’t know each other but I really like the group and I’m glad this has given us an opportunity to get closer. I took on the role of first aider so I attended the day long first aid training which hopefully we won’t need while we are there. 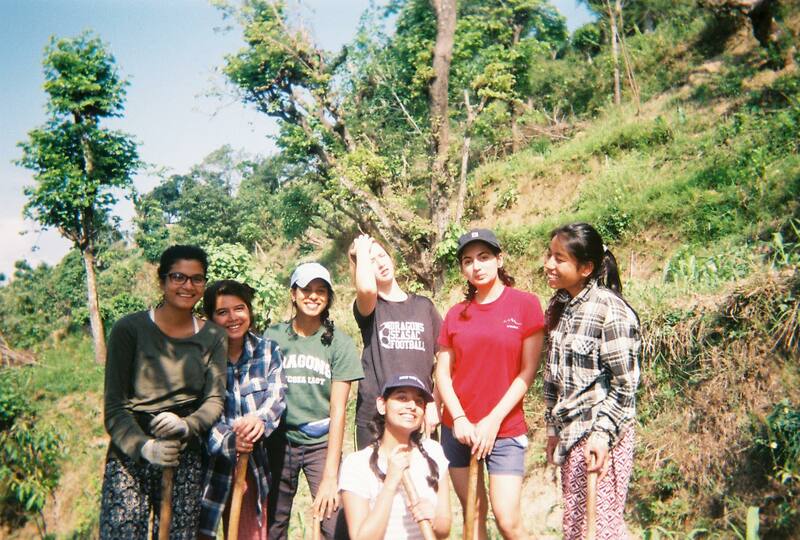 We initially had some problems because the flights to Nepal are very long and quite expensive however we managed to sort it out and have established a good relationship with our service partners (Her Farm) and we found a suitable trekking company who always reply very enthusiastically even when we send them a lot of questions. I’ve learnt quite a lot from this planning -some of my group members such as Manasi have worked really really hard to help sort our project week so it is important for me to make sure I stay involved and offer my help as much as possible. Whilst we had a lot of ideas initially about where we wanted to go in Nepal and what we wanted to do, we had to be realistic and narrow it down which meant making some sacrifices here and there- especially because we are an all-girls group in Nepal we have had to think a lot about how to make sure we remain safe- which has added a bit more pressure during the planning but is an important aspect to consider. I only shared most of the details with my parents later on which they were understandably not happy with so this is something to remember for the rest of project week planning but also future experiences and project such as EE- it’s better to think through and share details bit by bit rather than right before the deadline. This is the main folder which contains our planning docs, itinerary, flight details etc. We decided that it would be great to make daily recordings about each day so we could remember the details which made the trip so memorable (for me in particular what we ate!) And looking back on them now I can see how we were proud of all the planning we had done, and the small details really made a difference! These are our vlogs and initial and final reflections. Project week has unfortunately finally come to an end but I really did love this experience and to be honest was better than I thought it would be! It was great to see how much of an impact all our planning had in making the whole week so much smoother and I’m quite grateful to have had the opportunity to plan such a big project alongside my friends. it’s made me aware of how exciting but also difficult an independent project like this can be. In the future I’ll be more conscious that I need better organisation and time planning and that the earlier I start the better!At first planning for this trip and making sure I was taking responsibility was a bit challenging and I didn’t necessarily do as much as maybe I could have (especially because Manasi was more organised and she liked doing the planning stuff)- however soon after I did become a lot more involved because I realised that it was of course really important that I am contributing and pulling my weight. Pretty soon I became the primary liason with our trekking organisation and I’m glad I was able to take on that responsibility. Next time though when I am in a similar situation I should be more mindful to get involved more quickly. Luckily we didn’t have any big fights between our whole group, and I think this was a result of compromising and being aware of who is struggling the most so that you can do the most to make them comfortable, even if at times it may be a bit frustrating or difficult for you (for example Sophie and I were more used to trekking we offered to carry the bags the whole time). It really highlighted the different strengths of everyone within our group so that even when there were unexpected situations (like when a truck in front of us caught on fire and we were stuck in traffic for an extra 3 hours!) we stayed calm and were able to be flexible which is what made the trip so enjoyable .